We love reading about wizards and witches, from Merlin to Harry Potter, with their wands and wizard gowns. 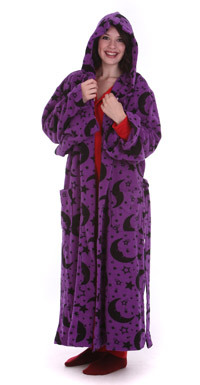 We can’t give you the power to control the natural forces of the universe, but we can offer you a fun hooded dressing gown or robe to help you look the part. 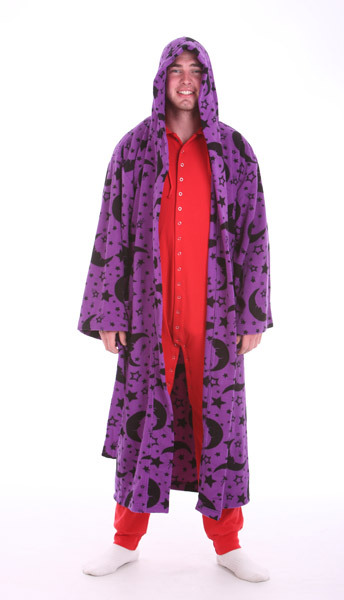 Our wizard gown comes in 3 sizes. It’s magical, imperial, purple with black stars and moons; hooded of course, in fact more like a monk’s cowl, and with huge baggy sleeves. 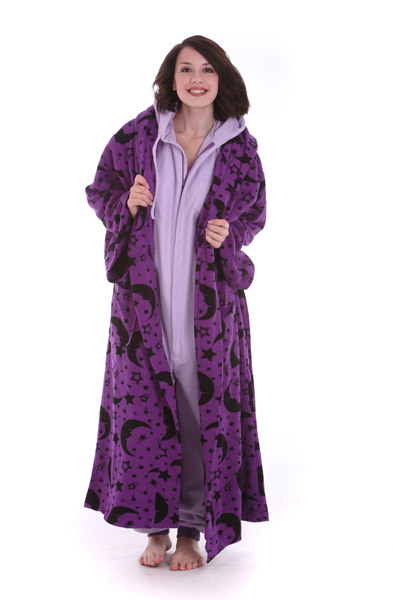 It’s a long dressing gown designed to reach to the floor. It’s belted to keep in your secrets, and has pockets where you can hide those spells. It’s made from heavy, high quality, soft Polar fleece so it’s warm, cosy, and easily washed. Makes a unique gift for wizard fans of all ages and is great party wear. 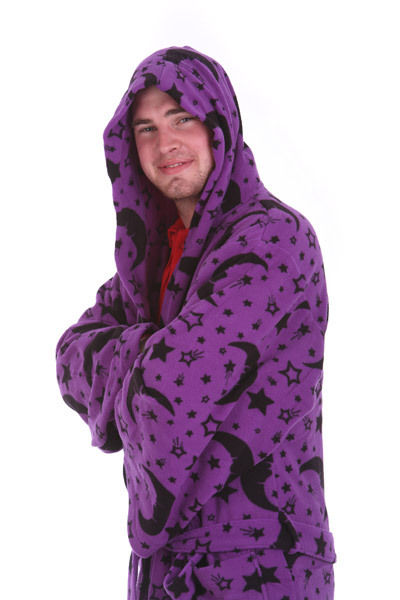 A wizard funzee one piece suit using the same fleece fabric is also available. Like all funzee loungewear its only available online. Look at the image gallery below.